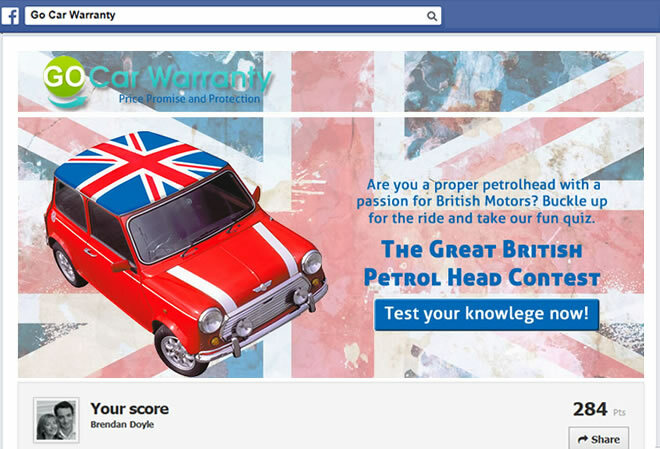 The challange for Go Car Warranty was to liven up ther Facebook page fans by challenging on their motoring knowlewdge.The campain was designed to simultaneously test the fans knowledge and create virality! Let Dot Ingenuity create fun customer experiences to drive brand loyalty and engagement by developing quizzes for your Facebook fans and serve up results based on their responses. Gather customer data, including email opt-ins and demographics, and track results on customer acquisition, sales and engagement.